OK you are like me so bored with those thumb drives that are all straight without being any fun. How about changing you USB drive to a sloth or to be precise Sid the Sloth from the Ice Age movies. This flash drive offers 32 GB of space and don’t worry Sid is not very smart and that means that he will not take up any space on the drive itself so that it is all available for you to use. Just remove the sloths upper body from his lower body and there you will find the USB connector. 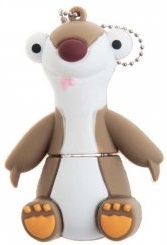 Come and get a fun flash drive, get this Ice Age Sid The Sloth USB Flash Drive. If you are worried about dust and dirt going into the headphone port of you phone, CD player, MP3 player or anything else that has a 3.5″ headphone jack. Besides being able to keep the dust out this headphone dust plug also looks fun and gives you phone a little charm to make it stand out. This one has a cute little elephant that smiles when ever it is being used. 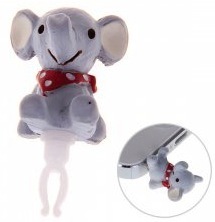 So if you like elephants and want to decorate you clean phone then you need this Elephant Dust Plug. OK this is one of the strangest products I seen for a while but it is fun and super cute. This is a hard case for your iPad mini but that is not all. The case has connected to it a plush mouse where you can stick you hand in like a puppet so how you can hold you iPad by holding the plush animal. It of course is fun and keeps you hand warm and it makes it easy to hold your iPad mini without having to worry about loosing it as you hand is securely in the mouse. 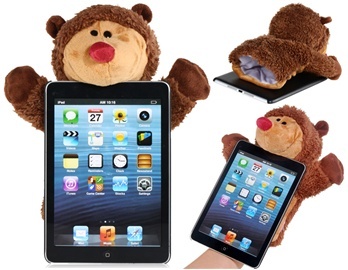 You just have to come have a better look at this iPad Mini Case With Handwarming Plush Mouse. A pink pig is always cute and this pig loves to take care of all your data. By pulling the head of this pig the USB connector comes visible and that gives you access to it’s 32 gb of storage space. 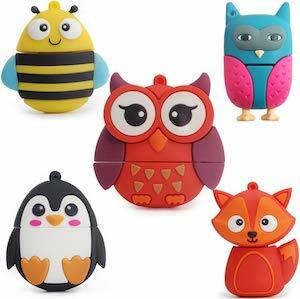 So if you like a USB flash drive that looks different and you love animals then you have to check it out. 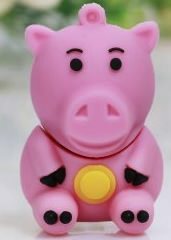 Come and check out this 32 GB Pig USB Flash Drive. This little fellow wants to watch you data while you want it safe. As you can see this is a Penguin and this penguin is a USB flash drive. So cute that it will be hard not to stare at it all day long but still very useful indeed. Come check out this Penguin USB Flash Drive. Sharks maybe scary animals but as a USB flash drive they are harmless. This USB flash drive looks exactly like a great white shark but without the teeth and killer instinct. 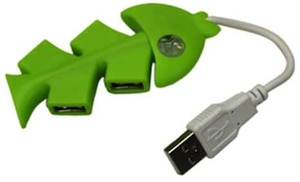 By removing the head part of the shark the USB connecter becomes accessible and the you can start storing you data on the drive. This shark flash drive is great for school, work and even for fun at home. 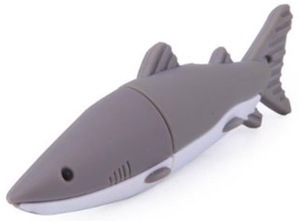 Come checkout this Shark USB Flash Drive. Stop using those boring flash drive that look like the one everybody uses. Now you can have one that looks like a chicken. This flash drive has 4GB of space to store you important data. 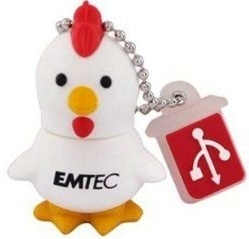 Go check out this Chicken Flash Drive.